Installing a security gate is one of the good ways you can protect your garage, home and property. In the event of a break-in attempt, your gate would become your first line of defence. There are many home and business owners who understand the level of privacy and protection that security gates can offer. These days, the technology for security gates has improved not only for industrial buildings but also for residential properties. This also means that homeowners can enjoy better control, protection and lifestyle with security gates. You can protect your home or business premises from intruders. Security gates allow you to keep unwanted guests out. When you have one, you can discourage burglars from attempting to break into your home. Having a security gate also increases your privacy. You will have a better control over who can enter your home, keeping out intrusive salesmen and unwanted guests. There are also designs that keep passers-by and neighbours from peeking into your house. Security gates come in different designs and styles. So, you are sure to find one that goes well with your taste and the look of your home. With an elegant and strong security gate, you can increase your home’s kerb appeal. When you increase your home’s kerb appeal, you are also improving its value. When you decide to resell your house, it would be easier for you to find buyers willing to pay for your preferred price. Security gates also potentially lower insurance premiums. Insurance companies consider whether you’ve made improvements to the security of your home in determining the cost of your premium. With a security gate, your house will be considered as less of a risk. So, we’ve established that a security gate is a good investment for your home. Now, how do you choose the right gate for you? The following are the factors you have to consider when choosing a security gate. The first thing you have to consider is the amount of space you have. 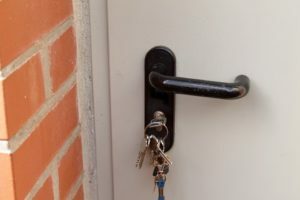 This will determine the type of security gate you should choose for your property. Sliding gates require more space so that they won’t be blocked when they slide back and forth. If your driveway has limited space, it would be better to have a swinging gate instead. It can swing out toward the street or in toward your property. We will discuss these types further down the article. Let your installer measure your space and they will help you determine the ideal type of security gate. Whether you are choosing a security gate for a residential or commercial property, it is important to determine the purpose of the gate. Ask yourself whether you are purchasing one for aesthetics, security or both. If your primary intention for installing one is securing your property, then focus on features that serve this purpose. There are residential gates that you can customise to be controlled using a remote control or a pin pad code. Just remember to be careful as to whom you share access with. On the other hand, you also have to determine the ideal power source when you choose to have a motorised gate. You only need standard power supplies when you have light-duty gates while you would require higher electrical power when you choose heavy-duty gates. When selecting access control gates, you have to consider how often the gate will be opened. Keep in mind that residential security gates may eventually problematic in commercial settings. If your security gate will be subjected to frequent use, then you must get a high-quality, industrial-grade one. 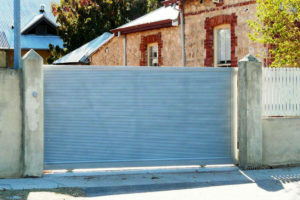 Hinged driveway gates can be customised according to your requirements. You can either get single or double hinged gates in either aluminium or steel materials. You can also opt to add other security features, including automation, pad bolts, deadlocks, electric locks and intercoms. At Aus-Secure, sliding driveway gates are built to the highest standards to ensure security while promoting your home’s aesthetic appeal. Choosing top-quality sliding gates offer several benefits, including ease of management. They can also be smoothly operated as they cannot be affected by gusts of winds. Sliding gates are also ideal for restricted areas and sloping grounds. Whether it is a single hinged, double hinged or sliding gate, automatic driveway gates are a safer alternative to manual gates. They are especially useful when you return home late at night or when it is raining. With an automatic driveway gate, you would not have to get off your car just to open your gate. Within a few seconds, with a simple click of a button, you can open your driveway and drive into your property. When you turn to Aus-Secure, we can offer you two brands of automation systems—DEA and Mhouse. Pedestrian gates can also act as another security feature for your home. At Aus-Secure, we offer them with different security options, including magna locks, pad bolts, deadlocks, hinged Doric locks and electric locks. 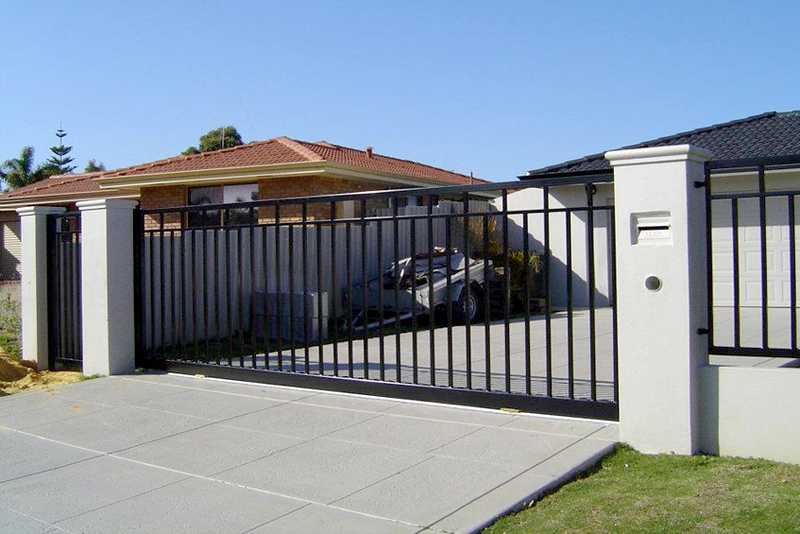 Whether you are aiming for a classic or contemporary look for your pedestrian gate, you are sure to find one that suits your needs here at Aus-Secure. You can choose steel slatted or aluminium gates for your property and you can enjoy several benefits. These gates are ideal for all climates and they will not fade, warp or splinter. What’s great about them is that they typically last longer than wooden gates. When you need a highly durable yet aesthetically pleasing security gate for your residential or commercial property, do not hesitate to contact Aus-Secure. With a range of design, style and operation options to choose from, you are certain to find one that suits your needs and budget. Call us today and our friendly staff will answer your enquiries and assist you with your needs.